While visiting the Isle of Palms, you can enjoy a multitude of activities including fishing, kayaking, swimming, or just lounging by the breaking waves of the Atlantic Ocean. We are proud to provide our guests with a complimentary, printed copy of Island Magazine. The magazine offers information about the area and things to do and see. 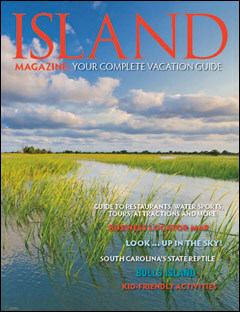 To access the interactive, digital edition of Island Magazine, click on the cover image to the left.